The Canon ImageClass MF7460, intended for medium-sized office settings, is a cross between designs for enterprises and lively petite office settings. The unit is compact and is the equivalent in size as a standard printer. The printer is fertile enough to eject 25-30 pages of copies per minute; this is more productive than the Canon ImageClass MF7280 by five pages. The Canon ImageClass MF7460 is 24.5 inches in width, 26.3 inches in depth, 29.8 inches in height and weighs 128 pounds; it is almost identical to the Canon ImageClass MF7280. The first-copy time for a document is 6.9 seconds, which is 1.1 seconds less than the Canon ImageClass MF7280. The printer utilizes a monochrome laser for all your printing needs. Print resolution is up to 1200 x 1200 dpi, and 1200 x 1200 dpi quality prints. The automatic sheet feeder holds up to 50 pages. The resolution of copies is up to 600 x 600 dpi and 1200 x 600 for quality dpi. The weight is troublesome but will fit on top of a strong desktop. 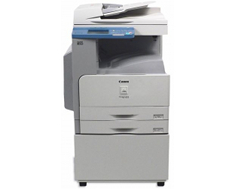 The Canon Image Class MF7460 is capable of fax speeds up to 33.6 Kilo Bytes Per Second. Unlike the smaller corresponding item in the D1100 series, the Canon Image Class MF7460 houses dual 250-sheet cassettes and a multipurpose tray, which facilitates 80-sheets. The VGA touch screen is 1/4 of an inch and acts like the control panel. The control panel contains 300 coded speed dials and 200 one-touch sped dial digits for prompt commands. When the printer is in sleep mode, it makes no disturbing noises that interrupt the work flow; the printer is pretty fast when waking up for printing tasks. The Canon Image Class MF7460 is compatible with Windows XP, Windows 2000, Windows Server 2003, Windows Vista, Windows Server 2008, Windows 7 and Macintosh operating systems; all the operating systems have the capability to PC fax and print. The CD-ROM that comes with the package gives insight on performance features, remote user interface and system settings, lists and reports, and troubleshooting guides. The system drivers located on the User Software CD-ROM contains easy-to-understand instructions and installation. The system has two handles located on each side. You can pull out the handles from the back and, grasp the recessed handles on the front. The zooming features permit 1% increments from 50-200%, and there are 256 levels of halftones. From 100%, the reduction levels can be 78%, 73%, 64%, and 50%; from the 100%, the magnification levels can be 200%, 129%, and 121%. The max size for the scanner in Automatic Document Feeder is 11 x 17 inches and 11.75 inches in Platen. The modem speed for faxing reaches up to 33.6 Kilo Bytes Per Second; The fax facilitates a SuperG3, which sends documents at higher speeds than the normal G3. The quality of the documents sent via fax is superfine up to 203 x 391 dpi. The Single Cartridge System combines the drum and toner for undemanding installment of the black and white ink unit. The printer deploys a duplex functionality for faxes, copies, and prints. The Canon imageCLASS MF7460 weighs 128 pounds. Unless you are physically fit to lift 128 pounds, you will need the assistance of another individual to help hold it. The max power consumption is 1,425 watts and is not cost-effective when the electric bill arrives. The Canon ImageClass MF7460 will cost a couple of thousand dollars; that is pricey for a printer that uses color with digital faxing only. Envelopes cannot be used in concurrence of the printer. 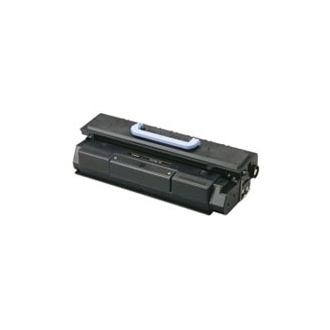 Review it: "Canon imageCLASS MF7460 "
The Single Cartridge System toner and drum comes together as a single unit and is straightforward to replace. Thus, recycling toner cartridges reduces the expenses. The Canon Cartridge 105 is compatible for the imageCLASS MF7460. 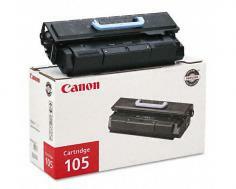 The Canon Cartridge 105 has a yield of 10,000 pages and a duty cycle of 50,000 pages.